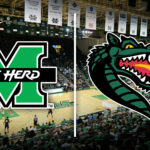 The Marshall University men’s basketball team did not have one of its better offensive nights Tuesday against old Southern Conference foe the Chattanooga Mocs. 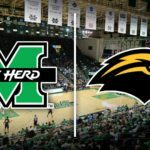 In fact it may have been the worse offensive effort since the 2014-2015 season when coach Dan D’antoni was in his first season as the head basketball coach but when the final buzzer sounded the Thundering Herd had its first victory over UTC since 1996. C.J. 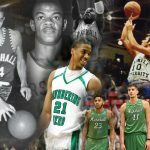 Burks paced the Herd with 23 points while Jon Elmore added 22. Forward Ajdin Penava, who entered the contest fifth in the nation in block shots per game, added six more to his season tally to spearhead a strong defensive effort. 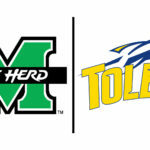 Marshall struggled with Chattanooga’s 6-10, 220 pound forward Makinde London, who registered a double-double in the game’s opening 20 minutes and at half the Mocs had a 36-30 lead. 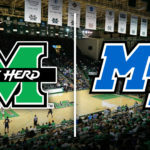 But the Thundering Herd started the second half off on a 14-1 run to take the lead in a game that would come down to the last couple of possessions before Marshall was finally able to secure the 70-66 victory. London finished the game with 25 points and 18 rebounds to lead not just UTC by all players in both categories. 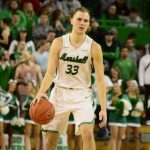 But, while London hurt the Herd in the paint, the perimeter defense for Marshall was perhaps its best of the year, forcing the Mocs into 19 turnovers and holding them to under 37 percent shooting from the field. 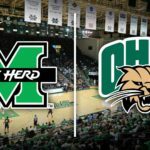 It was a game that was in stark contrast to the way the freewheeling Herd usually plays but a game that showed this young Marshall team had already made some significant strides. 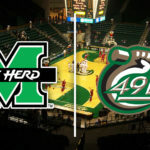 Just last week in a road game at William & Mary the Herd allowed the Tribe to shoot 64.3 percent from behind the arc and scorch the Marshall defense for 114 points. In the two games since that set back D’antoni’s bunch has only allowed 130 points while holding UTC and Akron to a combined 13-54 from three-point range. 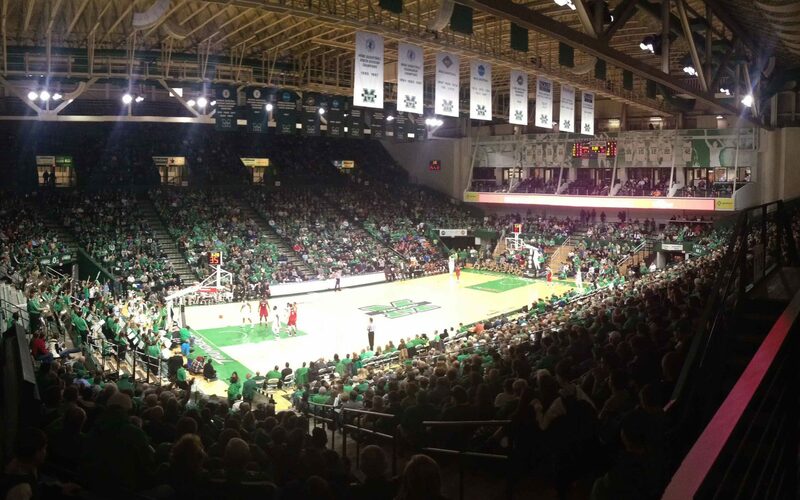 The improved defensive play has allowed Marshall to push its record to 6-3 overall and a sterling 6-0 inside the Cam Henderson Center. 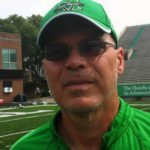 The Herd will look to continue its improvement by being able to pack up its home effort and pick up its first road win over the Toledo Rockets on Saturday.